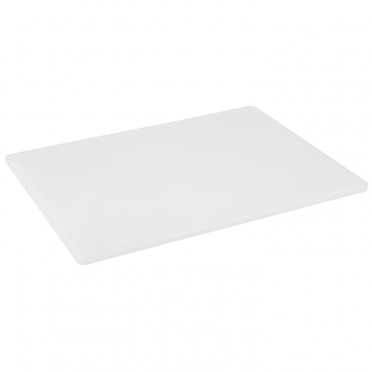 Our plastic cutting board is crafted from polyethylene. 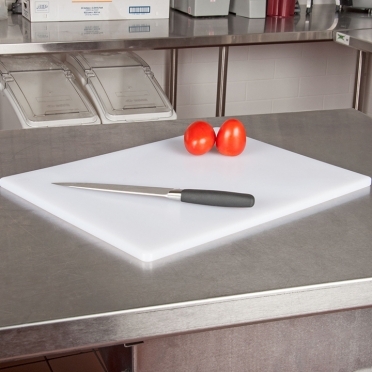 This material provides a safe place to handle food and does not dull knives like glass. 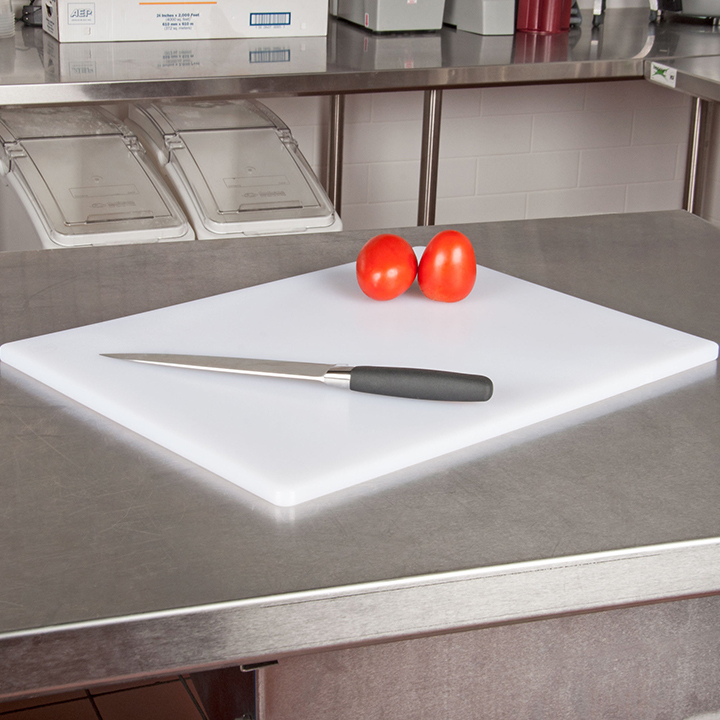 This preserves your knives' sharpness so that they can get through rough cuts of meat and fragile foods with ease. 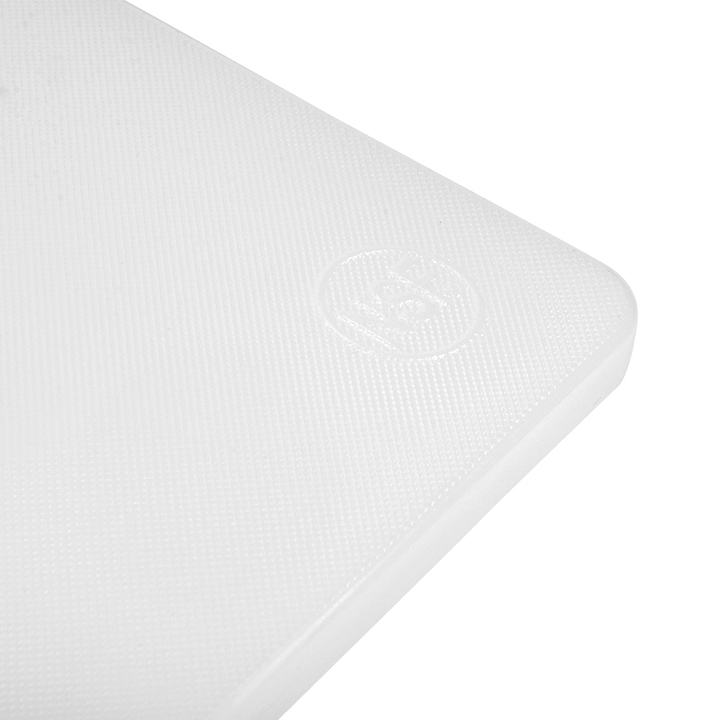 Thanks to this board's large size and generous thickness, you have a sturdy surface and ample prep space for your next event.